"Want to Learn or Teach the Old Ways before they are gone?" Several people have expressed an interest in meeting regularly to learn about/work with the skills and equipment at the farm, as well as the history of the area. Whether you have a skill/story to teach or want to learn farming/homesteading from local folks, please consider coming to this event, or email hickoryhillfarmstead@gmail.com to let us know you are interested. Potential topics include: mule driving, kitchen equipment, Life in the Summertime (& Wintertime) in the Ruehl cabin, Planting methods, Raising cotton, Sorghum, Broom corn/broom making, Wear it out/make it do, Schools in Cullman County history, Raising chickens/pigs etc without Tractor Supply nearby, and anything else that someone wants to teach or learn about. If there is interest, we can set up a Facebook group, get an email list together and have a ‘get organized’ meeting soon! Peinhardt Living History farm is primarily a family farm focusing on rural life in the 1930’s and 1940’s. The mission is to promote agricultural, historical and conservation education. 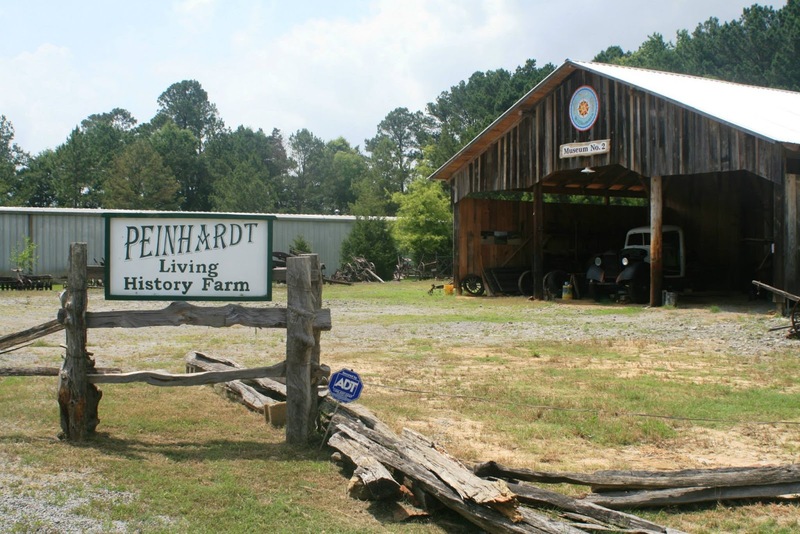 Peinhardt is host to the Cullman Fiber Guild (4th Saturday), a Blacksmithing Forge (1st Sunday), and Basket Study Group (4th Sunday). The farm is full of old tools and equipment and a wealth of knowledge in the volunteers and artisans that help staff the School Tour days and public Farm Day (Oct. 22nd 2016). If you have questions, please feel free to email me at hickoryhillfarmstead@gmail.com.